SAP customers and vendors see the future of SAP S/4HANA with vastly different viewpoints. 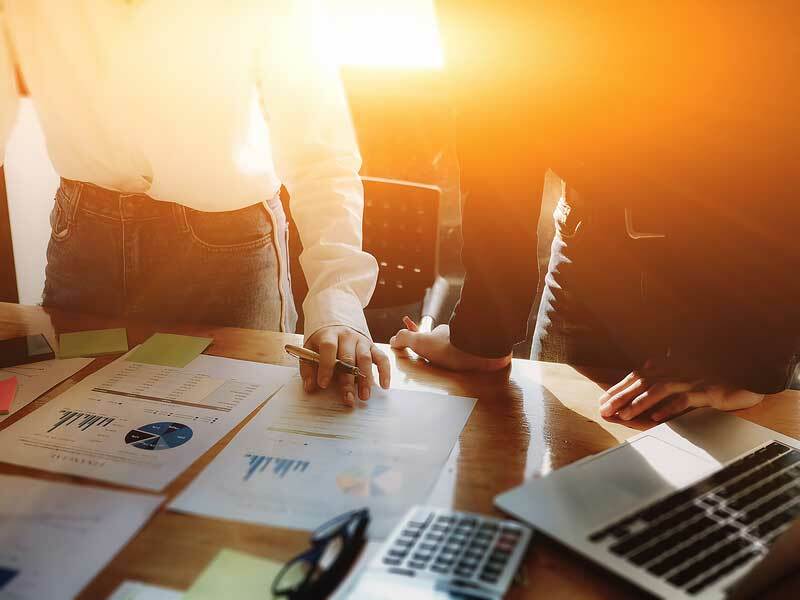 To vendors, S/4HANA is a powerful ERP for innovation, offering customers access to an intelligent enterprise and getting them closer to the reality of a real-time ERP. 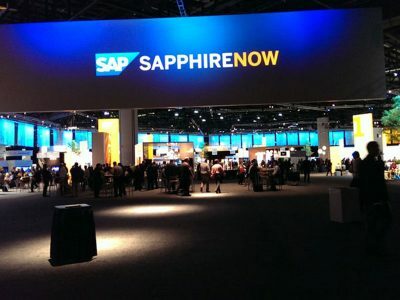 Developers and System Integrators (SIs) are excited about the cutting-edge features SAP S/4HANA makes possible as the next generation digital business platform, such as real-time information to support decision-making, increased efficiencies and automation, efficient collaboration and next-gen user experience, improvements and efficiencies in business processes, and IT cost improvements in the landscape. Vendors are motivated by translating customer adoptions of SAP S/4HANA into exciting customer success stories. It’s exciting to be a part of the change, as customers replace legacy systems with cutting edge technologies, and build an innovative future for their enterprise on SAP S/4HANA. SAP customers take a far different view. Even with the 2025 deadline looming, at which point you need to have migrated your SAP ERP landscape to S/4HANA, most SAP customers are putting off moving to S/4HANA. With SAP running for a quarter of a million customers (as of May 2018), we have seen just under 10,000 conversions. Most customers see S/4HANA as a costly, risky and potentially disruptive upgrade rather than an opportunity for transformation. They’re nervous about a future that involves completely replacing their stable and reliable legacy SAP systems, built and matured over decades, with something that is (for their company) new and untested. What’s the reason for this massive disconnect? How much will this upgrade disrupt my business? Will the new infrastructure be reliable? Can I trust my vendor to deliver it on time and on budget? 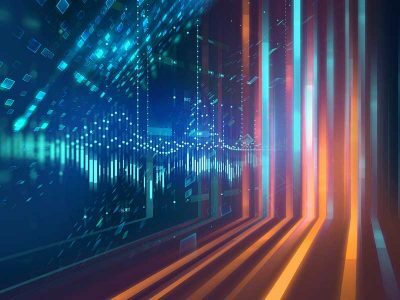 For most companies, questions like “Will this drive future innovation?” or “how can an SAP S/4HANA rollout transform my business in the future?” aren’t likely to make the short list. A lot of SAP vendors still think customers aren’t seeing the big picture, but the opposite is true. Established enterprises have experience with upgrades, and many have had painful lessons from the past on just how costly and disruptive they can be. Your company may have had disastrous upgrades in the past, or worked with service providers who didn’t deliver what they promised — and if you haven’t, you probably know someone who has. You’re right to be skeptical! 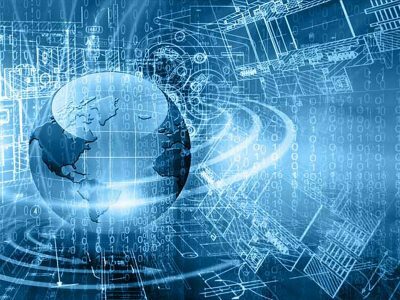 You can’t talk about SAP S/4HANA adoption without talking about digital transformation — it is radically different than previous generations of ERP with a whole slew of features and capabilities. But vendors first need to address the practical concerns that matter most to SAP customers before looking forward to all the improvements and efficiencies that are available. Your legacy SAP ERP landscape has likely been running for decades. It may have custom code, outdated configurations, aging software, inadequate system resources, inconsistent configuration and a host of other problems. An SAP S/4HANA conversion will modernize your entire ERP stack. You’ll be replacing a soon-to-be outdated system that has been patched together over decades with a single, supported, next generational digital transformation platform. This would bring to reality the combination of next generation features, various deployment options, simplified landscape management and the concept of the intelligent enterprise to your organization. That doesn’t mean SAP S/4HANA is automatically reliable. A well-run SAP ERP stack will beat a poorly managed SAP S/4HANA environment any day. But assuming you’re working with a certified SAP partner, S/4HANA will always be faster, more reliable and more cost efficient than your existing solution. An SAP landscape is a custom environment, with many interlocking pieces that interact in complex ways. As part of your S/4HANA migration, your provider builds out your S/4HANA environment given the various provisioning options – either in the cloud or on-premise. Since S/4HANA runs on the in-memory HANA database platform, customers have to ensure they’re running SAP workloads on certified platforms. This ensures reliability and performance consistencies for all customers running S/4HANA. 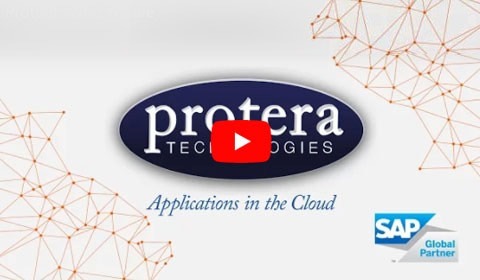 However, since SAP HANA was first officially released in 2011, and with the launch of SAP S/4HANA in 2015, Protera has dramatically refined the methodology used for migrations and conversions to the new platforms. We’ve built more sophisticated tools and services to analyze how different migration components work together and planned effective upgrade paths. We’ve automated processes that used to require painstaking, manual work and combined steps together. The result is a faster, less disruptive and more reliable migration to SAP HANA or S/4HANA. Protera FlexBridge is at the leading edge of this process, providing dramatic decreases in cost and disruption. With Protera FlexBridge, you can manage a full end-to-end S/4HANA upgrade and conversion project with just one testing cycle and one downtime window, reducing project cost by 50%, project timeline by 45% and downtime by a full 80%. There’s no future in legacy SAP ERP past 2025. SAP won’t be releasing new patches or addressing vulnerabilities on that platform. Expertise will start to dry up as the previous generation of functional and technical support resources either retire or move to the new platform. You’ll also be cut out from new software offerings, as third-party vendors pour their energy and development dollars into solutions for S/4HANA. Hosting and support: Typically, a move to S/4HANA is accompanied by a move to the cloud. This replaces the high and unpredictable CapEx of hardware with a low, predictable pay-as-you-go OpEx model.S/4HANA also eliminates some major financial risks associated with complex, legacy ERP. Companies tend to depend on the expertise of an admin who knows their systems inside and out.If that admin gets sick, quits or retires, there’s no one to perform daily maintenance, which can be disastrous for the business. With modern S/4HANA landscapes on the cloud, there are a wealth of managed services providers available to lower costs and ensure consistent support against contracted SLAs. Performance improvements: S/4HANA is tremendously faster than SAP ERP. That increases productivity, but it can do much more. For example, significantly increasing business process efficiencies and speed, such as realtime reporting & analytics and month-end closing and MRP runs. 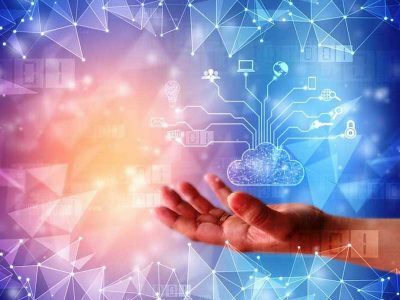 It also offers better performance for customer-centric applications, enabling access to IoT and Big Data features and functions to name a few. Interface improvements: Moving to S/4HANA means moving from SAP GUI to the Fiori user experience. Overnight, your team upgrades from an arcane and cumbersome tool of form filling and menu clicking to an award-winning modern interface that is intuitive and easy to use, increases your productivity in combination with S/4HANA workflow, and that your employees can use anywhere.Tasks are dramatically faster, roles are easier to learn, and your workers have better access to the tasks and information they need to do their jobs effectively. That leads to savings throughout your organization. All that being said, companies generally break even within the first year or two, even without including the strategic benefits of SAP S/4HANA. A qualified partner can help you crunch the numbers for your organization. For many SAP ERP customers, upgrades are an infrequent, extremely disruptive occurrence. There’s often performance degradation towards the end of the cycle, as the company tries to extract more value from hardware and software investments and postpone the inevitable. 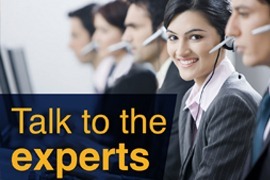 You don’t need to put up with it from your ERP solution anymore. With the right SAP managed services provider, you can modernize your approach to ERP, replacing the cycle of disruptions and decaying performance with an upgrade to S/4HANA and ongoing routine maintenance updates that minimize disruption and ensure consistent performance. The short-term gains of S/4HANA can be remarkable, but transformation is a long-term, iterative process. S/4HANA’s real-time visibility lets you stop reacting to market conditions months ago, and lets you start thinking about the market from a few minutes ago. Better performance lets you do more sophisticated analysis for real-time data-driven decision making. The user-friendly, customizable interface of Fiori UX lets you rethink roles and better optimize your workflow to simplify your user experience and, through mobile use, take your ERP system with you anywhere. Building your SAP S/4HANA future starts with addressing your needs today, with a partner focused on what drives you. 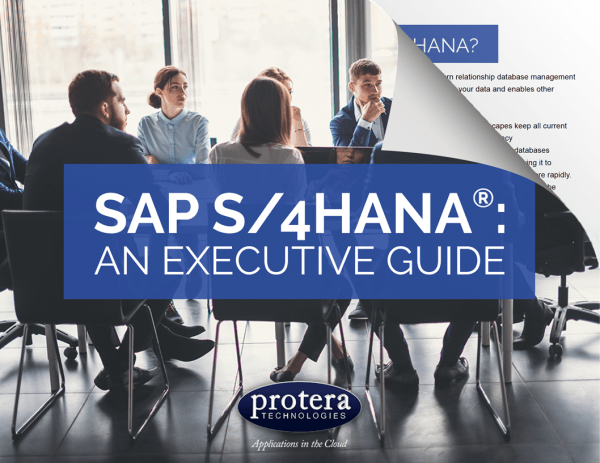 Try our Protera FlexBridge S/4HANA Upgrade Assessment to learn how your business can start benefiting from S/4HANA now.